(AP) KABUL, Afghanistan - Suicide bombers launched multiple attacks in a remote corner of southwestern Afghanistan near the Iranian border Tuesday, killing policemen and shoppers buying food to break their daily Ramadan fast. A market bombing in northern Afghanistan brought the overall toll to 46 in the deadliest day for civilians this year. There were no claims of responsibility, but the attacks on opposite ends of the country  the provinces of Nimroz in the southwest and Kunduz in the north  came as Taliban insurgents and their allies step up attacks while international troops hand over security responsibility to Afghan forces. NATO plans to withdraw most of its troops by the end of 2014. There have been relatively few insurgent attacks in Nimroz over the past year. Tuesday's bombings took place in the provincial capital, Zaranj, where three men wearing suicide vests detonated their explosives in different neighborhoods, provincial police chief Musa Rasouli said. At least 25 civilians and 11 police were killed, he said. Authorities said the casualties would have been far higher had they not learned of the plot beforehand. Police killed two would-be attackers Monday night and captured another three Tuesday morning. Three more militants attacked the governor's compound but were killed by security forces before they could detonate their suicide vests. One of the bombings took place at mid-afternoon outside a hospital near a busy market packed with shoppers buying sweets for the feast that marks the end of Ramadan, the Muslim holy month, this weekend. Another bombing struck outside the state television building, and the third hit an intersection in front of another bazaar. Nimroz, whose provincial capital lies about 6 miles from the Iranian border, is not regularly beset by insurgent attacks as are Helmand and Kandahar to the east. The sparsely populated province is partly desert, and its government representatives have repeatedly complained that it is neglected by officials who are focused on its more volatile neighbors. Recently, however, Nimroz has seen an increase in violence. 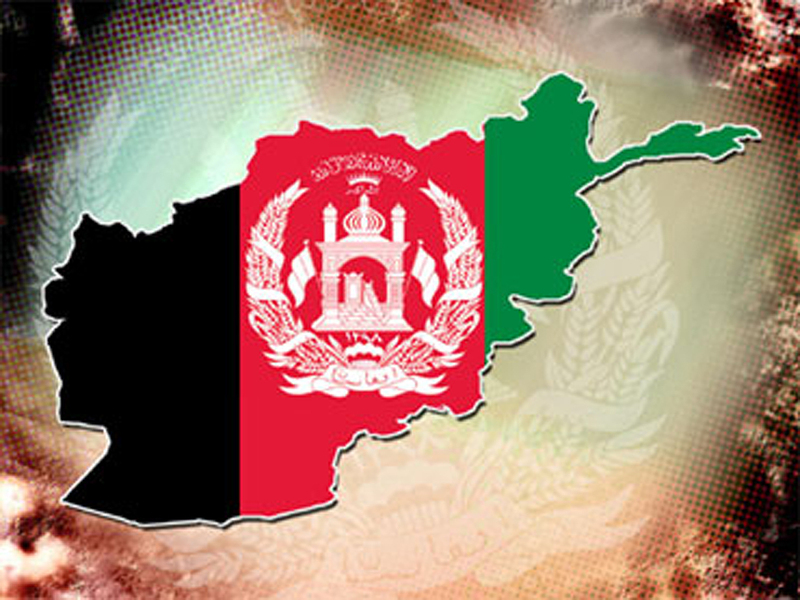 On Saturday, an Afghan police officer killed 11 of his fellow officers in the remote Dilaram district of the province. In Kunduz province in northern Afghanistan, police said a motorcycle bomb outside a crowded bazaar in Archi district killed at least 10 people, including five children, and wounded at least 25 others, according to Hamid Agha, the police chief for Archi district. The bomb exploded in the early evening as shoppers were rushing home for the meal ending their Ramadan fast, he said. Altogether, 35 civilians were killed in the attacks in the two provinces, making Tuesday the deadliest day for Afghan civilians this year. "What we saw today were further acts of intentional mass murder," said Gen. John Allen, the top commander of U.S. and NATO forces in Afghanistan. "By targeting innocent civilians in populated areas, the insurgents have again shown they will kill non-combatants without hesitation to advance their backward-looking plans for Afghanistan. Once again, I call on (Afghan Taliban leader) Mullah Omar to rein in his murderers. His intentions not to target civilians are hollow," Allen said in a statement. The U.N. reported last week that civilian deaths were lower in the first six months of 2012 than in the first half of 2011, but that an onslaught of summer attacks from insurgents were threatening to reverse that trend. In all, 1,145 civilians were killed in Afghanistan between January and June of this year, according to the U.N. report. On June 6, a car bomb and a motorcycle bomb killed 22 people near Kandahar airport in the volatile south. Another suicide attack July 14 on a wedding killed 23 people, including the provincial intelligence chief and two army generals.